A mysterious object used in a high-tech GPS-based treasure hunt caused parts of the Downtown Disney Park in Anaheim, CA to be temporarily closed down this week. Police were notified of a black box located on a bridge near the Disney shops and restaurants. No one knew what the object was, so police and the bomb squad were called in to figure out if the black box posed a threat. A couple hours later, they realized the mysterious black box was part of a high-tech GPS-based scavenger hunt. The object was actually one of the hunt’s geo-caching sites, an essential component of these types of scavenger hunts. The treasure hunt uses GPS tracking devices to find objects left in specific locations. It’s like playing hide-n-seek with a GPS tracking system. Geocaching is a high-tech treasure hunting game played throughout the world by adventure seekers equipped with GPS tracking devices. The basic idea is to locate hidden containers, called geocaches, outdoors and then share your experiences online. 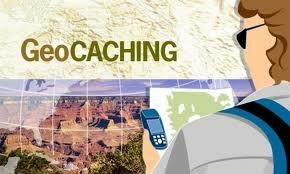 Geo-caching is enjoyed by people from all age groups, with a strong sense of community and support for the environment. This wasn’t the first time that a GPS tracking device used in this type of high-tech entertainment has caused a scare. Just a couple weeks ago, a similar incident took place in Huntington Beach. A geo-caching black box was found near an auto repair shop. Police and the bomb squad were called and eventually realized that the device was safe.